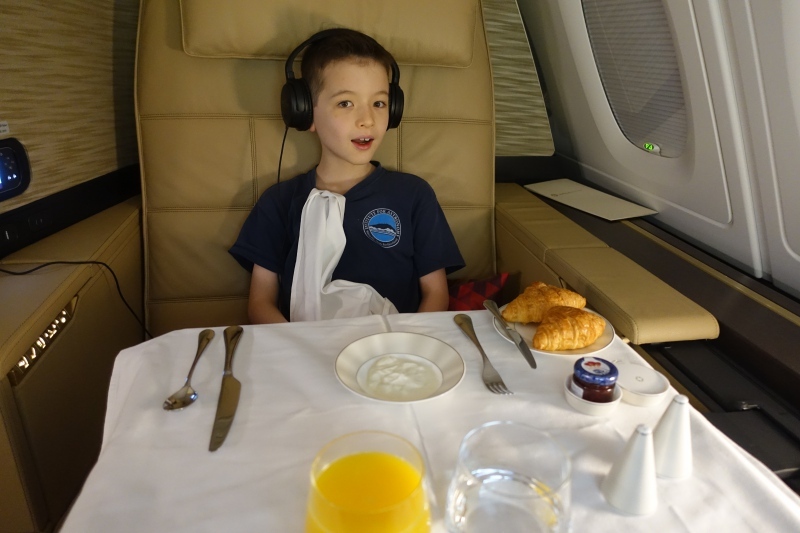 This Review of Etihad First Class Apartment on the A380 from Abu Dhabi to New York is from our recent family trip to the Maldives, where we loved our stay at Cheval Blanc Randheli. 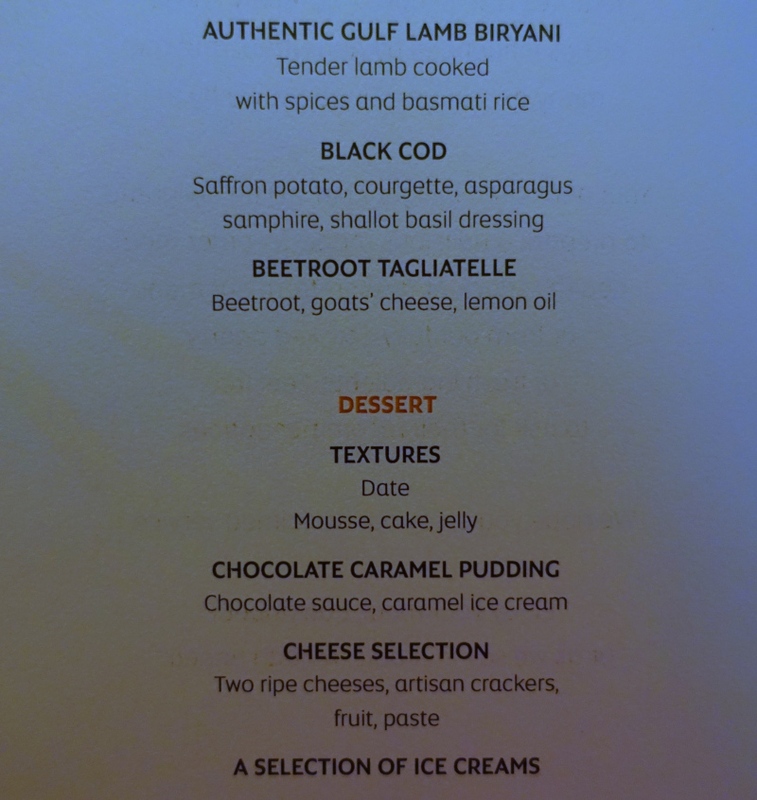 Departing First Class passengers in Abu Dhabi can enjoy the new Etihad First Class Lounge and Spa. 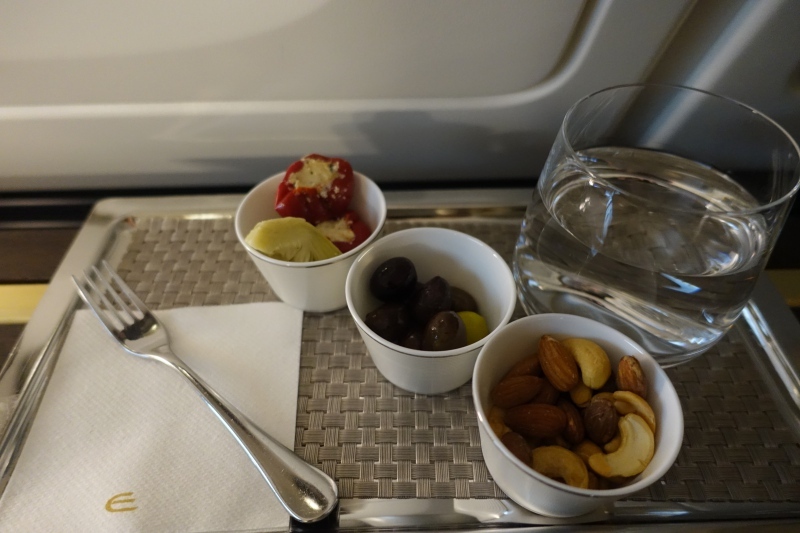 See all our Etihad Airways posts and our First Class airline reviews. 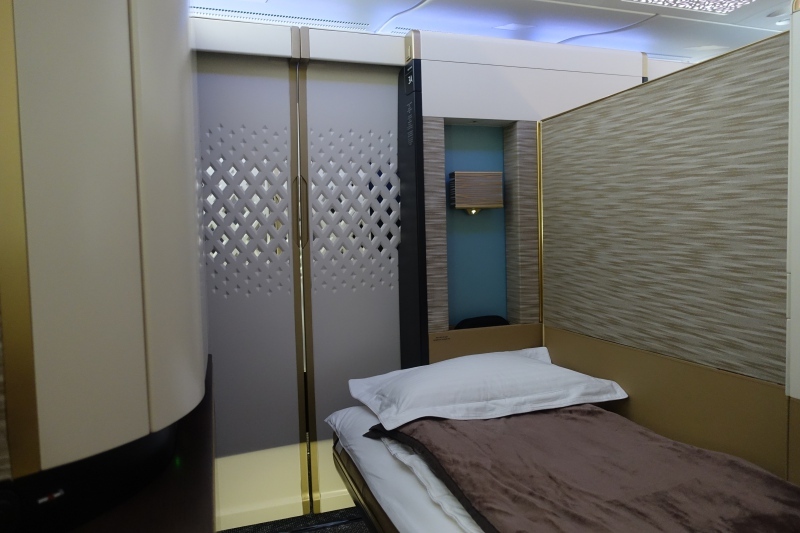 Etihad First Class on the A380 consists of 9 Etihad First Class Apartments, 4 on the left side of the aircraft and 5 on the right side. 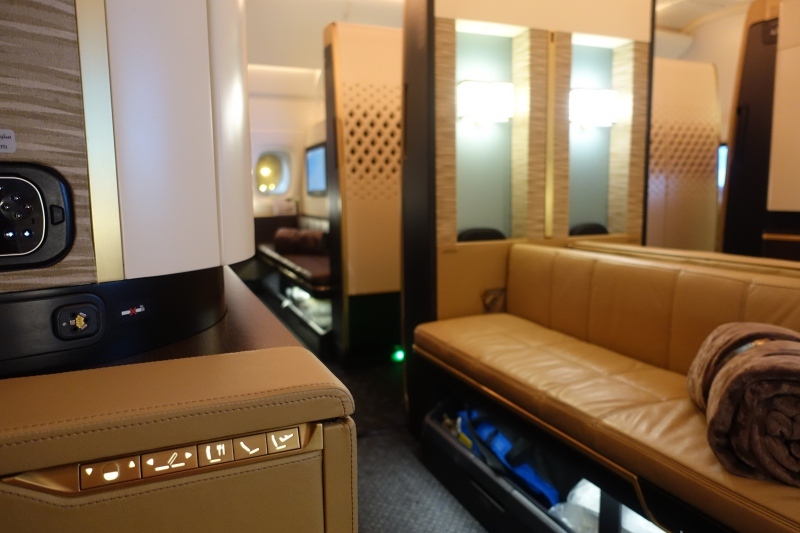 The apartments, apart from Etihad's The Residence (with its own private bathroom and shower) are the largest first class suites on commercial aircraft at present. 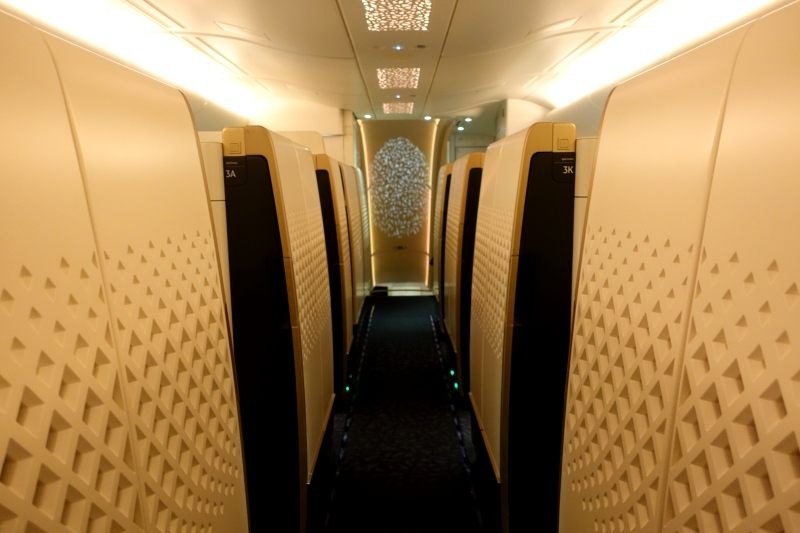 My favorite seats in Etihad First Class on the A380 are 4A and 4K, because they are forward facing seats by the window, so you have greater privacy when seated than you do with seats that are right by the aisle, such as 1H, 2C, 2H, 5C and 5H. 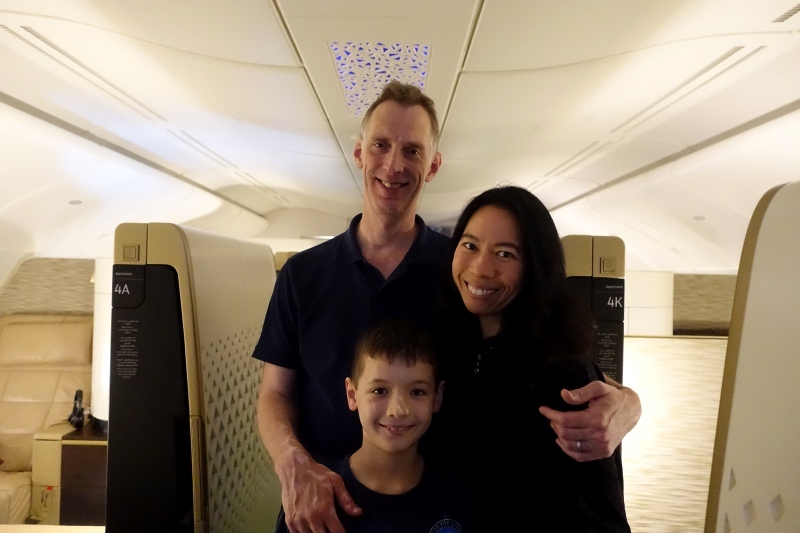 We were fortunate enough to be able to book 3 Etihad First Class Apartments for our entire family on our flight from Abu Dhabi to New York JFK, so we selected First Apartments 4A and 4K for my son and husband respectively, and First Apartment 3A for me, since it partially connects with 4A via by lowering the divider. 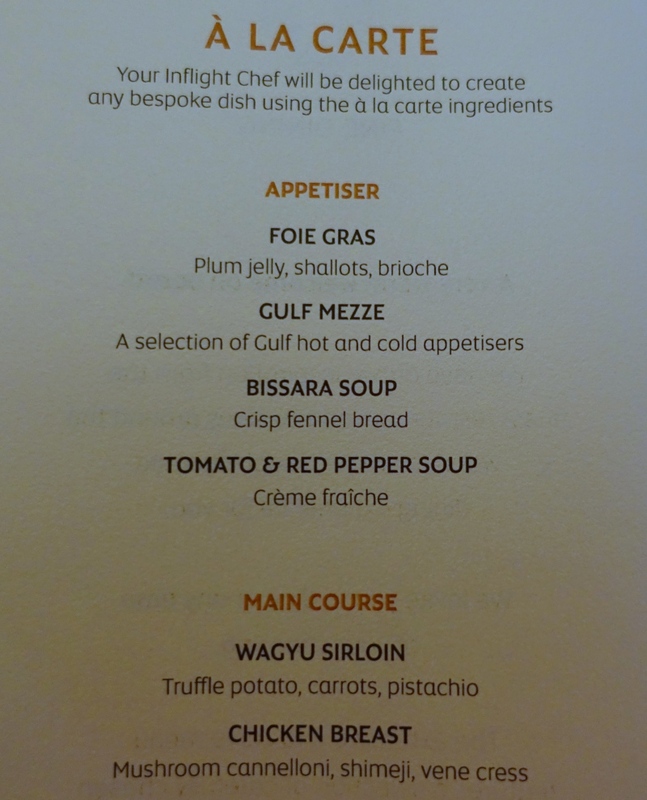 Several airlines feature an onboard bar; Emirates has one behind Business Class on the A380, Korean Air has one, as does Virgin Atlantic. 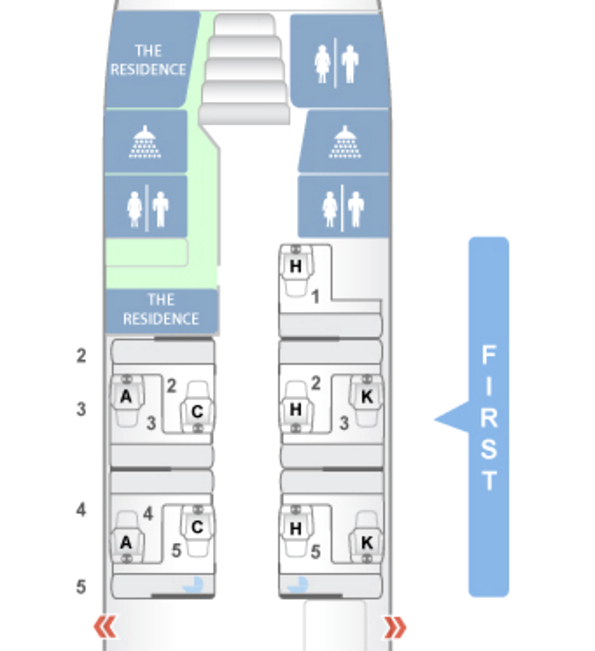 On Etihad, the onboard bar is called “The Lobby” and seats up to 6 passengers. 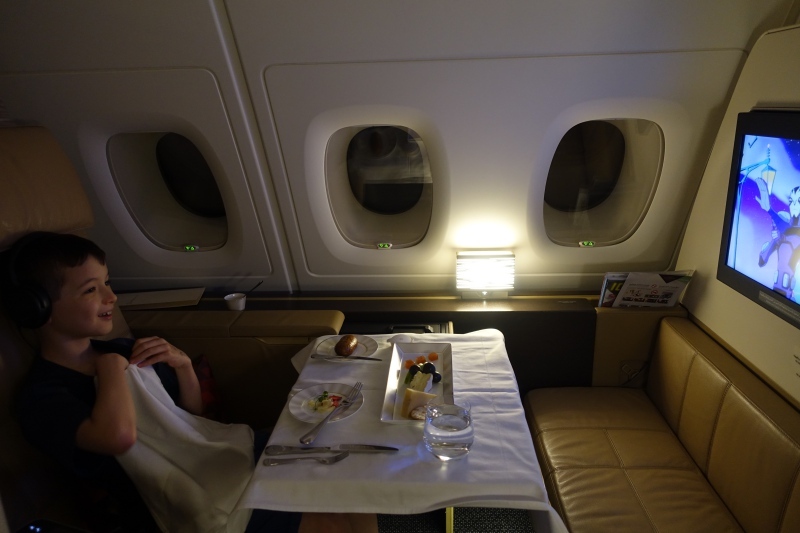 We didn't have occasion to use it, but it's nice to have an additional space to go to as a Business Class passenger, when you want to stretch your legs. 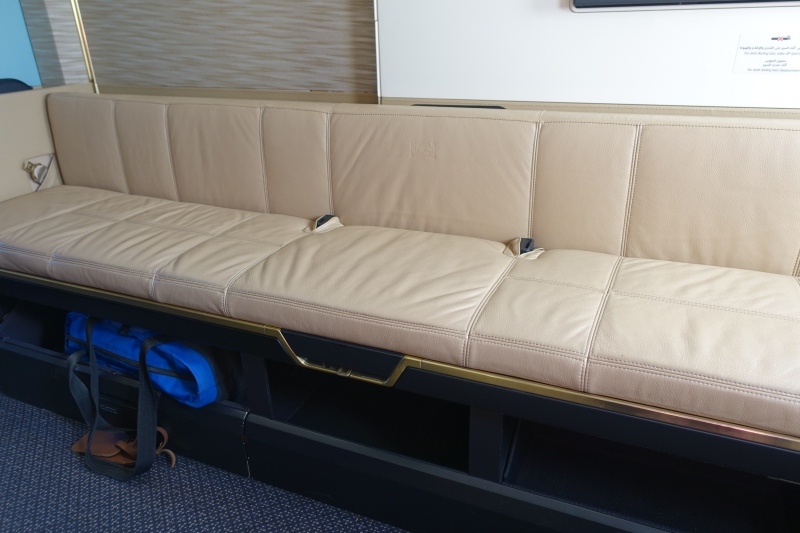 The Etihad First Class Apartment seat is nicely styled, in Poltrona Frau leather (also used in luxury cars such as Ferrari), but in my view not as comfortable as the less sleek looking but better padded and extra wide Cathay Pacific First Class seats. 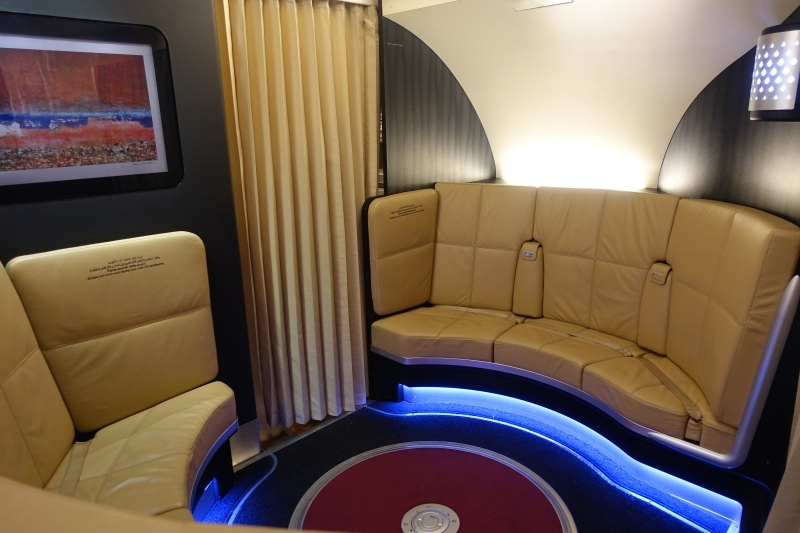 You can, however, slightly adjust seat cushion firmness via the touchscreen on the armchair, where you can also control the lights and privacy, via the “Do Not Disturb” sign (although the apartment doors themselves are manual and can't be closed with any of the controls). 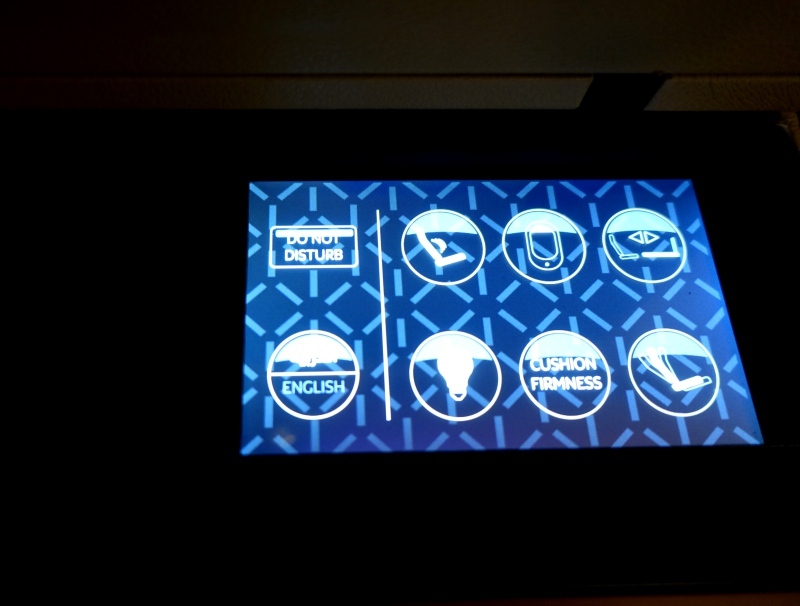 Just below, on the inside of the arm rest, are manual seat controls, which I always appreciate in case of touch screen malfunction, although fortunately in my three Etihad First Class Apartment flights the touch screen hasn't malfunctioned yet. Something to note, if you're similar to us in never checking luggage, is that there's no overhead storage space and your bags need to be placed in the storage areas underneath the bench (awkward to get at once your bed is turned down) or in the very narrow coat closet. A slightly more practical feature of the First Class apartment is the vanity, with mirror. 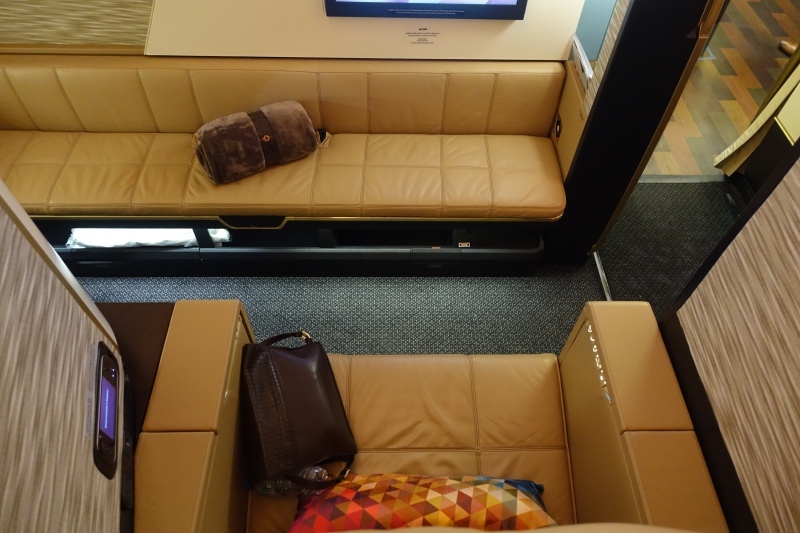 It surprises me how many first class suites don't have a mirror anywhere (perhaps they assume anyone who needs one carries one with them) so anyone needing to insert or remove contact lenses, apply moisturizer, sunscreen or makeup, or otherwise check their appearance has to go to the lavatory. 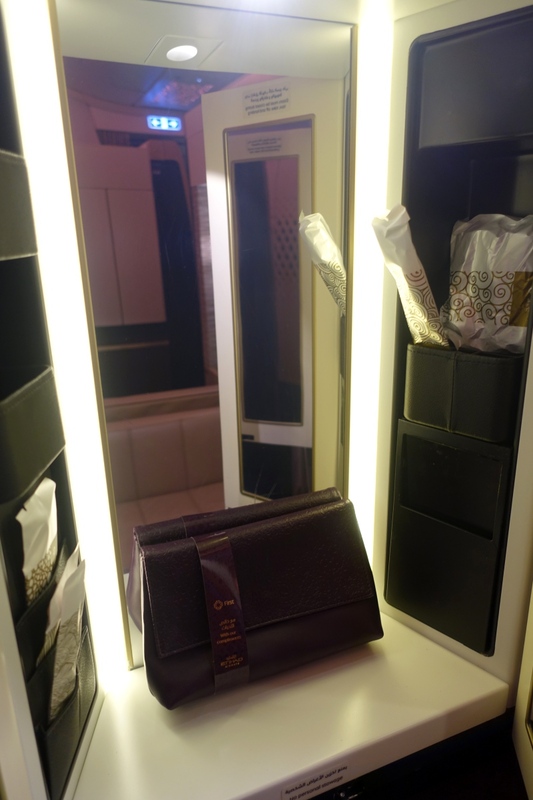 The Etihad First Class Christian Lacroix amenity bag is placed inside the vanity, with amenities (Omorovicza products from Hungary) tucked in pockets on either side. I like the purple Christian Lacroix clutch, which I saved as the color goes with one of my evening gowns, although I didn't take any of the Omorovicza amenities with me. 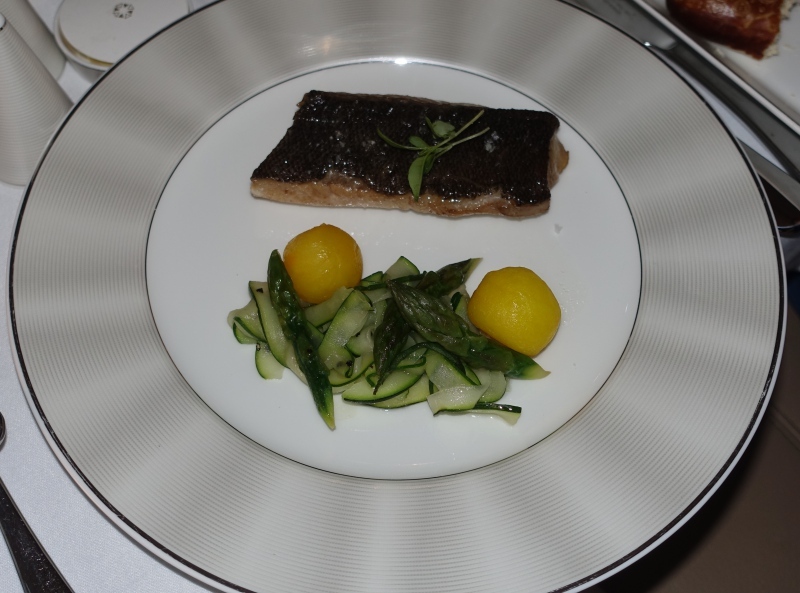 The Black Cod was the best dish, although honestly not quite as tasty as that perfectly cooked Grouper we had in Etihad Economy from Male to Abu Dhabi. 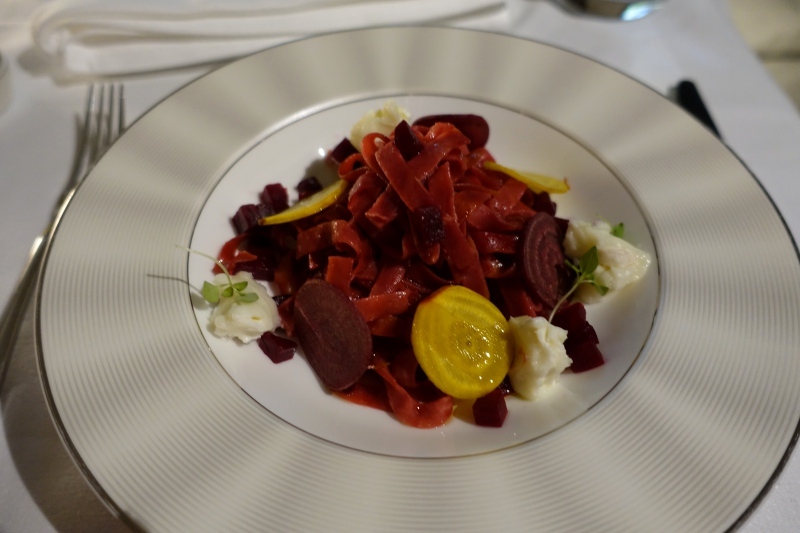 Later on in the flight, instead of breakfast, I tried the Beet Tagliatelle. 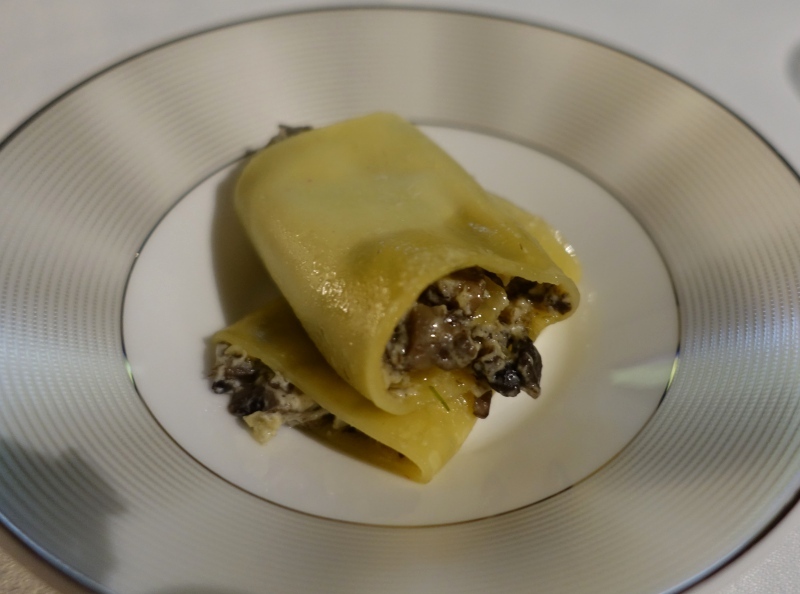 The pasta and the beet pieces were very dried out and not appetizing, so it wasn't a good choice. 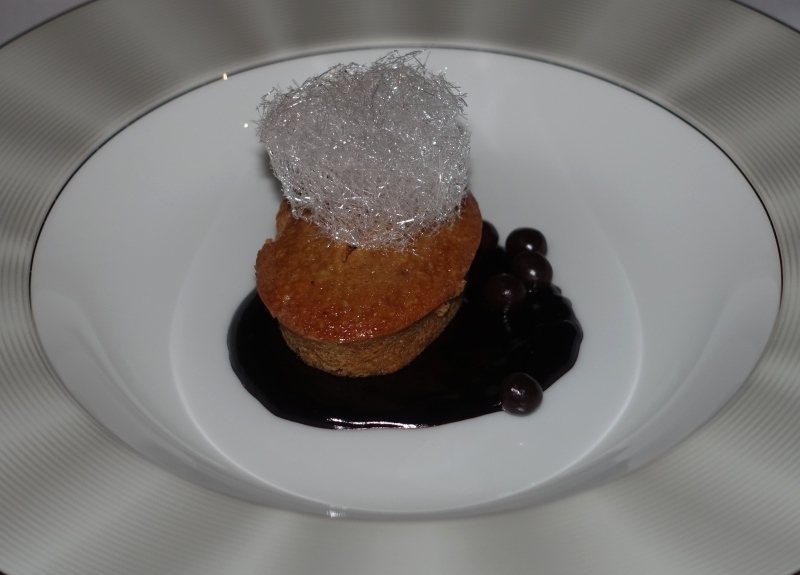 I also tried a dessert, the Chocolate Caramel Pudding, but it wasn't a pudding, just a small rather hard cake with chocolate sauce, and didn't come with the caramel ice cream until I asked about it. 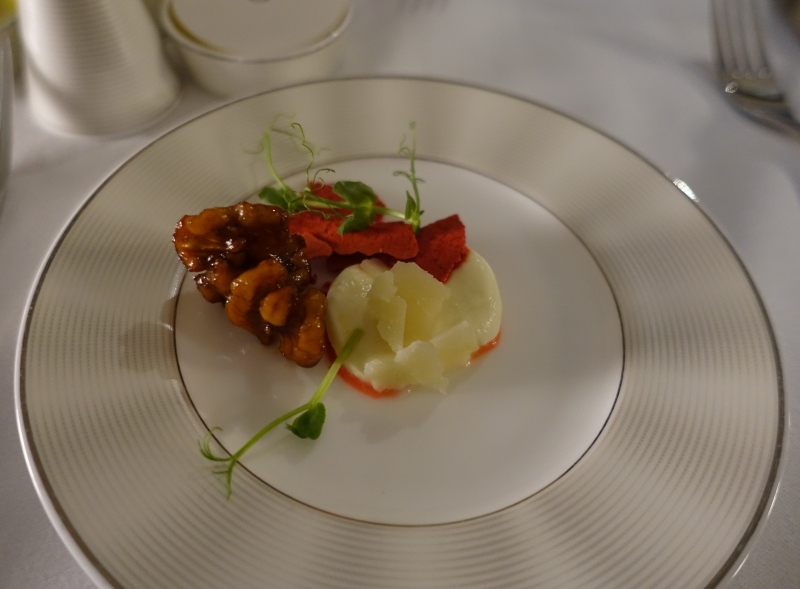 Not worth wasting calories on. 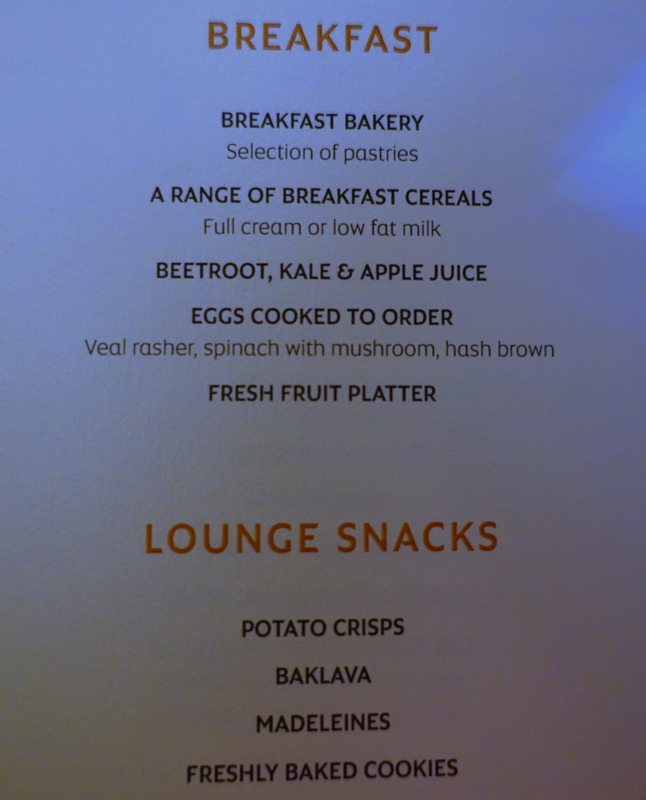 Our son enjoyed his breakfast, and the croissants were fresh and flaky. There was only plain yogurt, so I mixed a bit of jam to make some fruit yogurt. 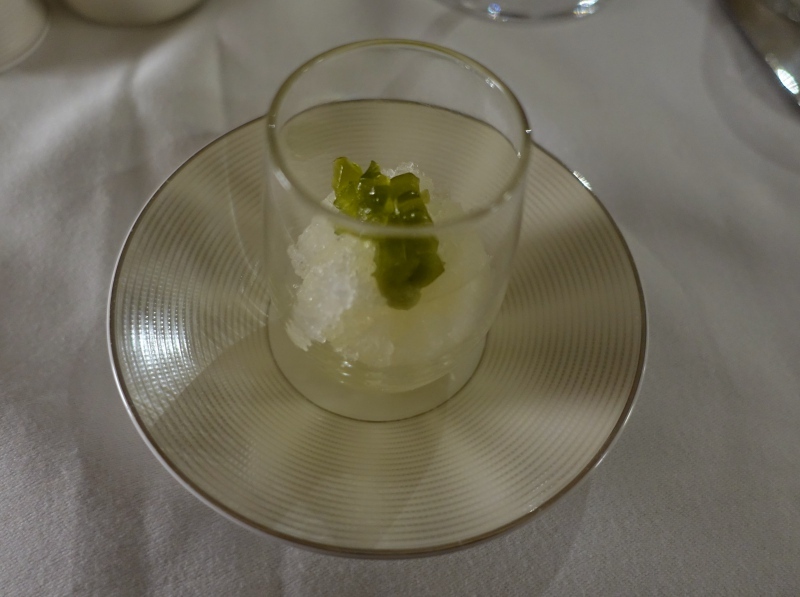 There were no berries available, however. 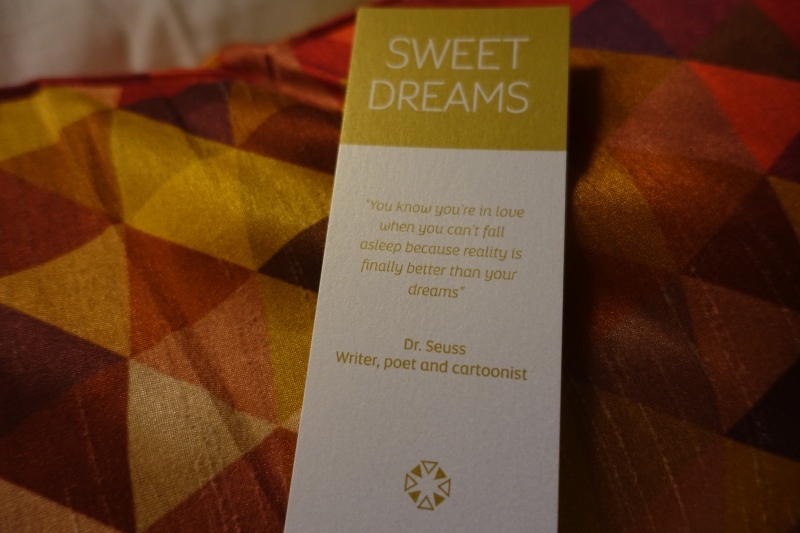 Etihad First Apartment beds are made from the bench in each apartment, and while nicely made up (with a Dr. Seuss quote as a cute touch) the mattress pad is quite thin and as a result it's a very firm sleep surface. That may work well for many people, but it's very uncomfortable for my husband and me, as we have pillowtop beds at home. 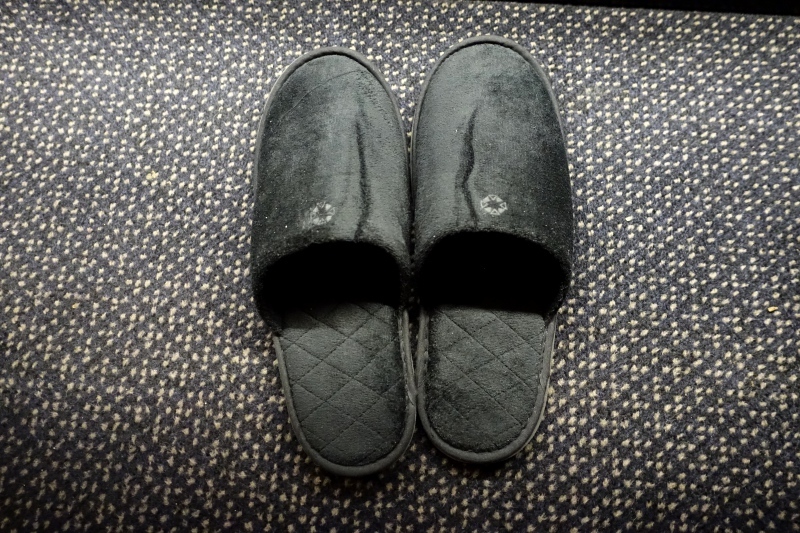 For that reason, as well as the dry cabin air, I didn't sleep well at all, although of course it was good to be able to lie down and close my eyes for a few hours. 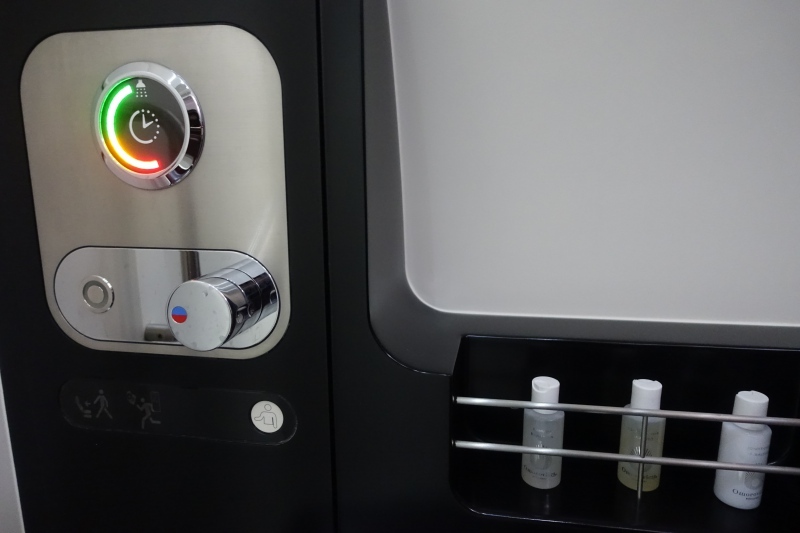 It's of course very much a first world problem to have a cramped first class bathroom on a plane, but given that currently only Etihad and Emirates offer a shower to their first class passengers on the A380, the bathrooms do invite comparison. And the Etihad bathroom with the shower is very cramped and nearly as pleasant to change in, compared to Emirates First Class on the A380. That said, the shower works similarly, with handy light indicator that changes from green to yellow to red to indicate the remaining time you have for your shower. 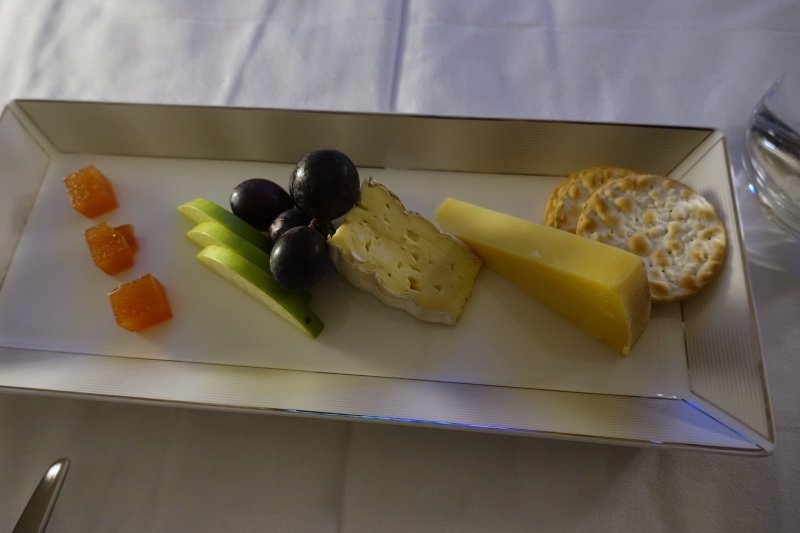 The true luxury was being able to all fly together in Etihad First Class Apartments on the A380, since we normally end up taking different flights due to only getting 2 award seats on a given flight. 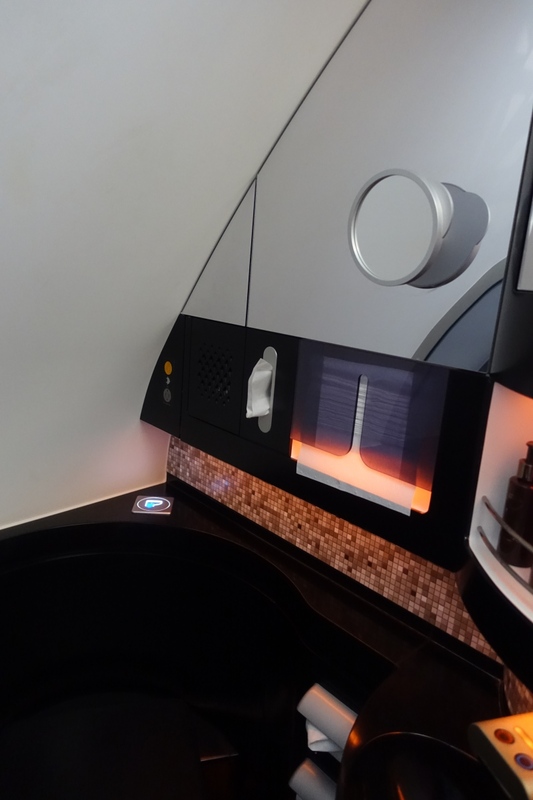 The Etihad First Class hard product remains very good in terms of personal space, closing suite doors (although the walls are too low), the ability to partially connect some adjacent apartments, and the onboard shower. 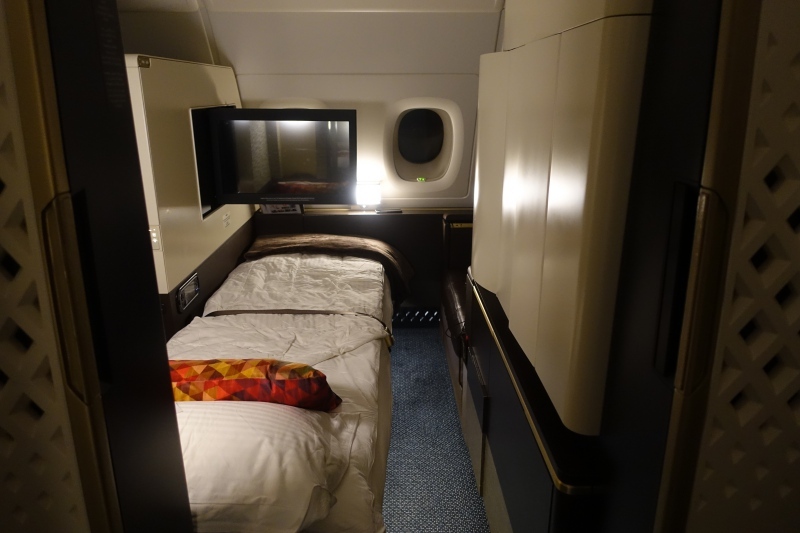 On the other hand, the beds are really not comfortable for us, and could really use a better, more comfortable mattress pad, similar to in Singapore Suites and JAL First Class. 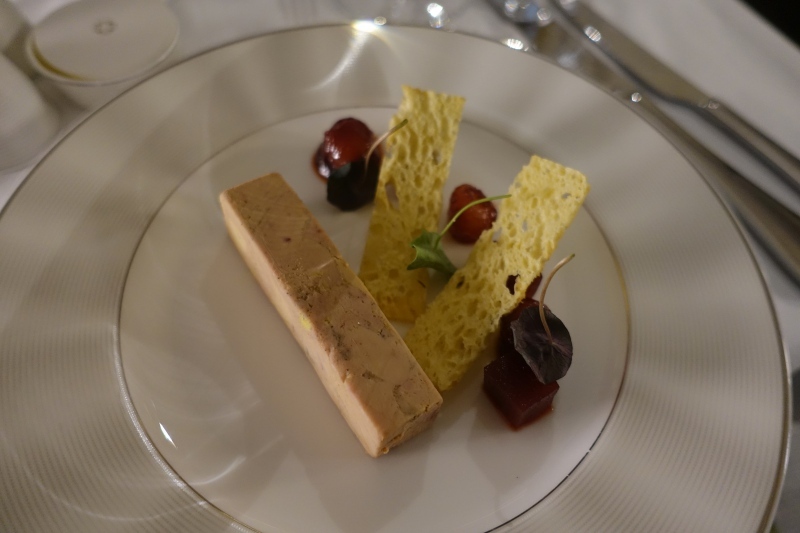 The other aspects that were disappointing on this particular flight were the catering–the food was significantly poorer quality than on our past flights–and the service, which can best be described as going through the motions. 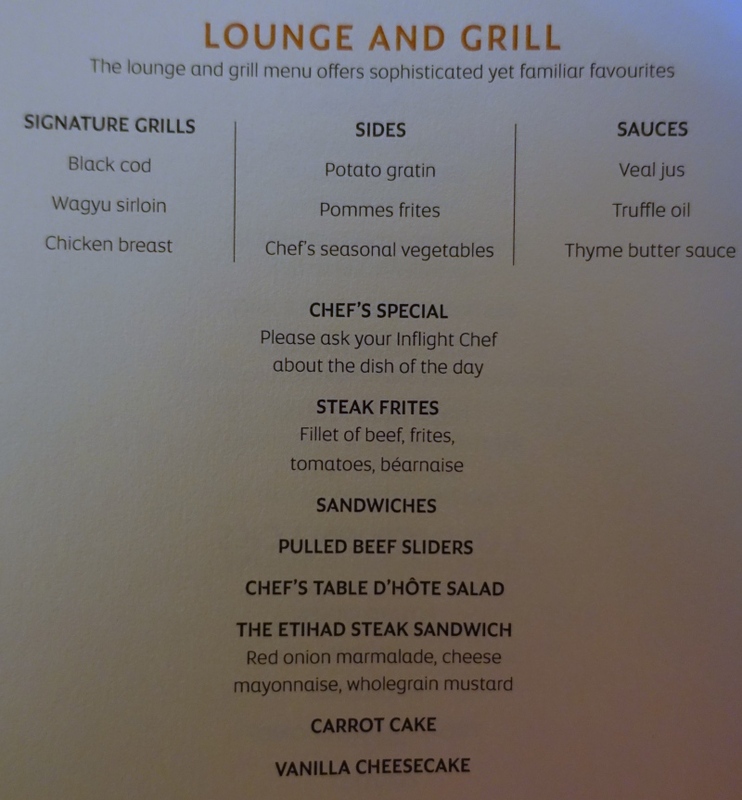 Whereas on a previous flight we were fortunate enough to enjoy the service of one of Etihad's trained butlers (presumably because no one was in The Residence), the staff on this flight were pleasant enough but did not provide service anywhere close to what you could expect at a true 5-star luxury hotel, with things missing from a dessert order, long waits between the courses, and none of the proactive checking in that you receive with more experienced and attentive first class cabin crew. 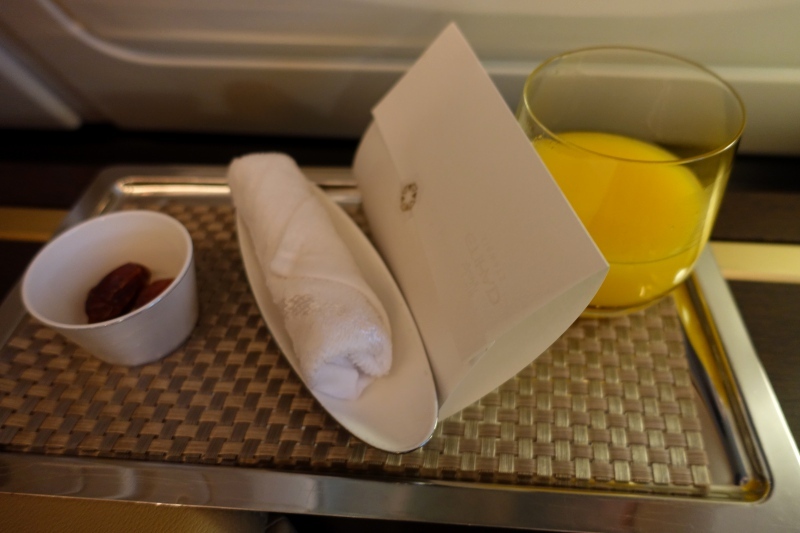 If you've flown in Etihad First Class Apartments recently, what was your experience?